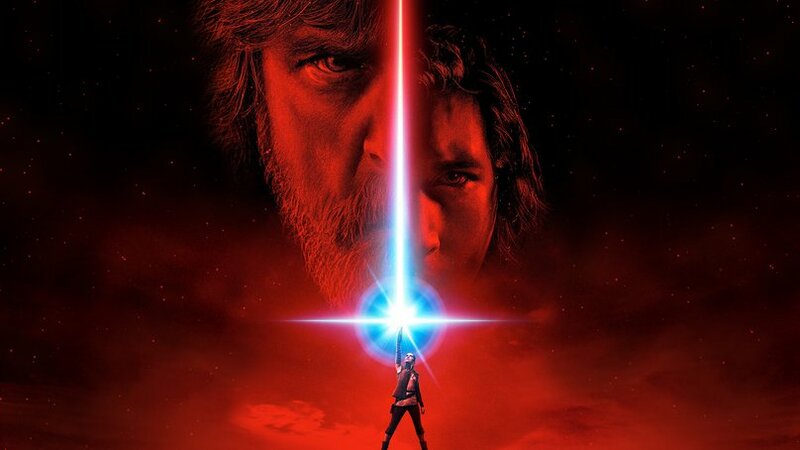 Star Wars: The Last Jedi comes out tonight and I am massively excited to see it. However, some of my other friends who are seeing the movie aren’t as familiar with the Star Wars universe as I am. 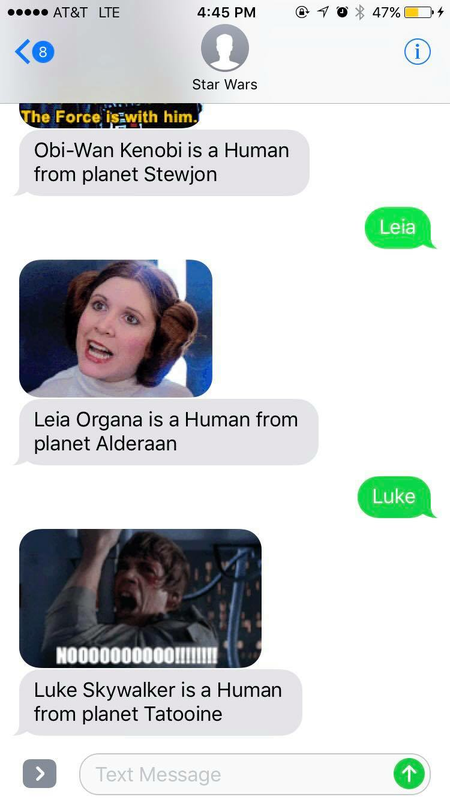 Let’s use the amazing Star Wars API to build a Twilio powered SMS hack to help fix that. We are going to use Twilio Functions to avoid having to go through the hassle of deploying a web application, the Star Wars API to gather relevant data on Star Wars characters, the Giphy API to grab GIFs of those characters, and Twilio SMS to facilitate the communications with our users. The Star Wars API is a very simple REST API that only functions using GET requests. 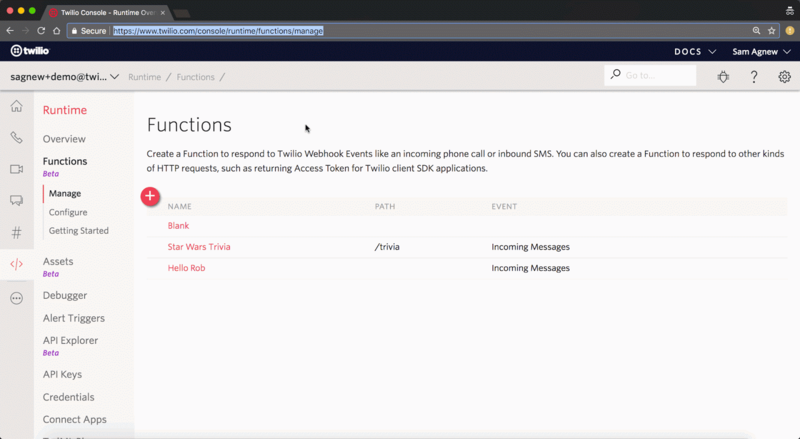 Twilio functions gives us access to Got, which we can use for these HTTP requests. In particular, we’ll be working with the people endpoint. Now that we know how to work with the Star Wars API, let’s put it in a Twilio function. Give your function a name and a path. let giphyApiKey = 'dc6zaTOxFJmzC'; // This is the default/demo public API key. // Take the Star Wars character that most closely matches the query. // Take the first GIF in the search. Generate TwiML for the SMS response. 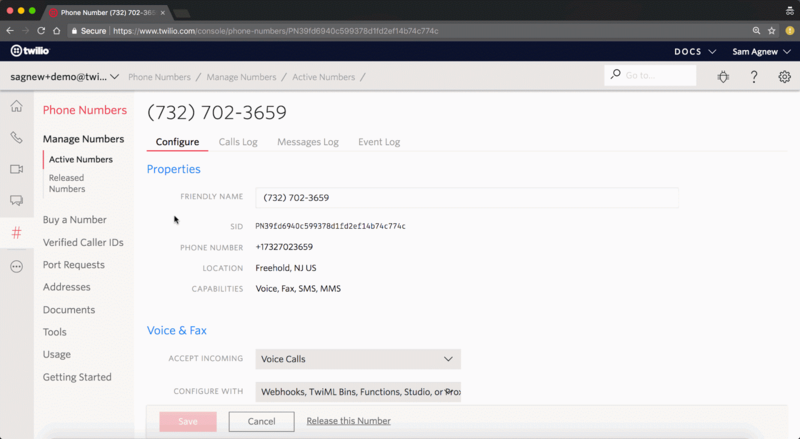 Texts the Twilio phone number that you will link this function to. 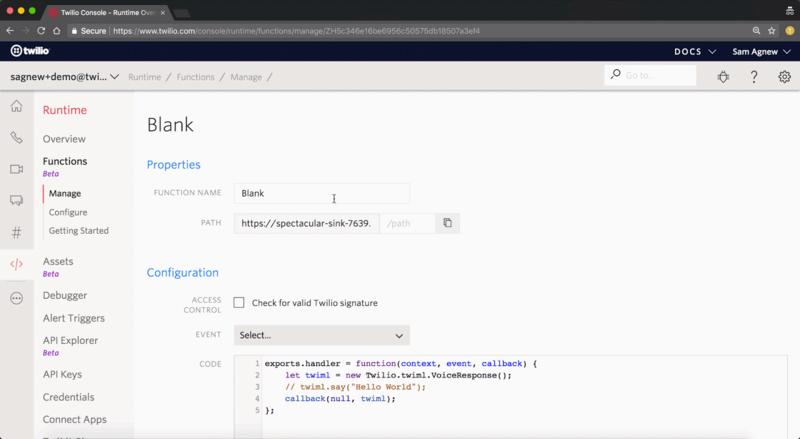 Your function executes and makes several back-to-back requests to the Star Wars API to grab all of the relevant data: the character’s name, species, and home planet. After the Star Wars data is gathered, a request to the Giphy API is made to grab a GIF of the character your user searched for. When all is said and done, some TwiML is generated to tell Twilio to respond with a text message. Now you should be able to text your phone number and see some Star Wars info! This is only the tip of the iceberg. You can add even more to include what vehicles and starships a character is affiliated with. The data of the Star Wars universe is now at your fingertips. In the meantime, I’m going to head out and watch the new Star Wars movie.